Dark Horse is making it easy for you to find your next favorite series! 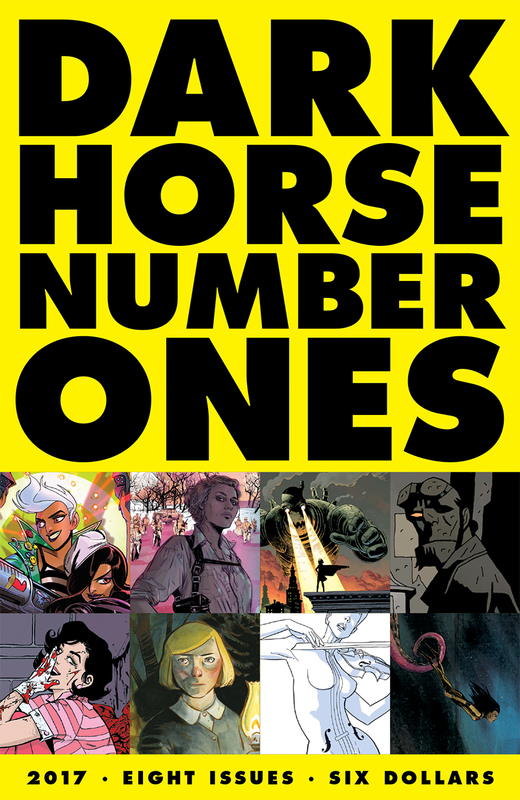 Dark Horse is excited to announce the Dark Horse Number Ones trade paperback, which will allow readers to familiarize themselves with some of our most talented creators in a value priced collection. Gerard Way and Gabriel Bá’s The Umbrella Academy is the story of a group of superpowered children, born on the same day and subsequently adopted and raised by a scientist as secretive as he is wealthy. Mike Mignola’s Hellboy in Hell finds Hellboy dead and in Hell, where a throne awaits him—along with familiar faces. Joëlle Jones and Jamie S. Rich’s Lady Killer showcases a 1960s homemaker who is also a ruthless assassin for hire! Jeff Lemire and Dean Ormston’s Black Hammer finds a group of superheroes banished and trapped in a small town as they struggle to return home. Matt Kindt and Sharlene Kindt’s Dept. H follows a special investigator assigned to uncover possible sabotage taking place at a deep-sea research station. Brian Wood and Mack Chater’s Briggs Land introduces the Briggs family, the leaders of an antigovernment secessionist movement in the United States, as the matriarch, Grace Briggs, attempts to take control from her incarcerated husband. Kurtis Wiebe and Mindy Lee’s Bounty features galactic bandits turned bounty hunters as they fight their way across the galaxy. Cullen Bunn and Tyler Crook’s Harrow County features a young girl who learns about her origins and discovers her supernatural powers. 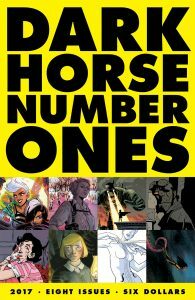 At over 200 pages, the Dark Horse Number Ones trade goes on sale March 29, 2017, for an unheard-of price of just $5.99! Comics fans, prepare to find your next obsession!